Ort Farms celebrates 100 Years and was selected as the New Jersey Agricultural Society's "Century Farm" Award for operating their Long Valley Farm within the same family for a century! This fall, they have dedicated a portion of their proceeds from their Corn Maze to Farmers Against Hunger to help provide fresh produce to New Jersey families in need. Ort Farms is also a donor to the program, providing thousands of pounds of surplus produce for donation to the program and hosting gleanings at their farm. 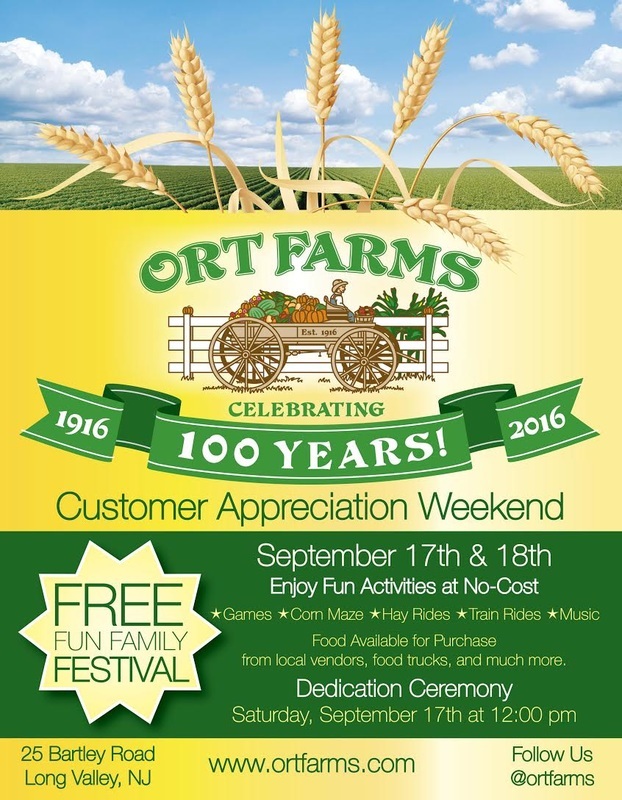 Join us to kick off "New Jersey Gleaning Week" on Saturday September 17th with a Customer Appreciation Event at Ort Farms. Farmers Against Hunger will have a booth and fun games to recruit new gleaning volunteers and share our mission!